In response to a question in Rajya Sabha, the government simply says legislations allow appointment of retired judges. New Delhi: The Modi government has ruled out a cooling-off period for retired judges before their appointment to tribunals or commissions. The government made the statement in Parliament Friday through junior law minister P.P. Chaudhary in response to a question posed by Rajya Sabha member Amar Singh. Singh sought to know if the Centre planned to introduce a mandatory cooling-off period of five years to be maintained by retired judges of the higher judiciary with “a view to secure the independence of institutions recognised in the Constitution through special protection of SC/HC Judges and Election Commissioners”. He also sought to know if there were other reforms the government proposed to bring forward in this direction. Despite being a major litigant in courts, the government holds the power to offer post-retirement position to judges. The Centre, however, offered no opinion on the issue. It simply maintained that “various legislations enacted by the Parliament in the country have provisions for appointment of sitting/retired judges of the Supreme Court or High Courts as Chairpersons and Members of the Commissions, Tribunals and Authorities”. The Centre’s admission brings forth the longstanding debate on the issue of post-retirement jobs for judges. The Modi government’s statement acquires significance in light of the controversy in January over its decision to nominate Supreme Court judge A.K. Sikri to the London-based Commonwealth Secretariat Arbitral Tribunal (CSAT). Sikri withdrew his consent for the nomination hours after ThePrint reported about the government’s decision, taken in December, to nominate him to the post, which he would have taken up after his retirement as an apex court judge on 6 March. Reports that Sikri had accepted the government’s offer kicked up a controversy since it was his vote that proved decisive in the ouster of Central Bureau of Investigation (CBI) director Alok Verma over corruption allegations. The trend of judges taking up post-retirement posts has drawn heavy criticism over the years. Many of the 50 Supreme Court judges who have retired over the past decade went on to take up post-retirement jobs. While some were appointed as chairpersons of tribunals, one was made governor. Of these, at least 26 accepted government jobs while 13 started practising law again. ThePrint could not ascertain nine judges’ post-retirement status. Only two declared that they won’t accept post-retirement jobs. 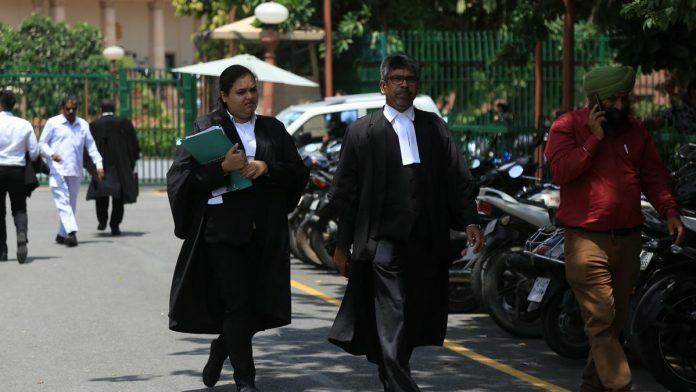 Controversies over retired judges taking up government postings have erupted on several occasions over the years, with the Bharatiya Janata Party leading the charge against the trend while in opposition. In 2012, senior party leaders Arun Jaitley and Nitin Gadkari, now union ministers, had suggested that the clamour for post-retirement jobs was affecting the court’s judgments. However, the Modi government has not quite refrained from making job offers to retired judges, having appointed at least 12. The remaining 14 were appointed under UPA I and II.